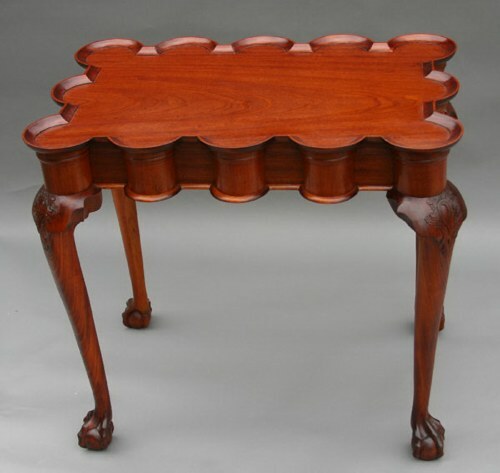 This is a reproduction of a very well know tea table that was originally built in the Boston area around 1755 - 1765. 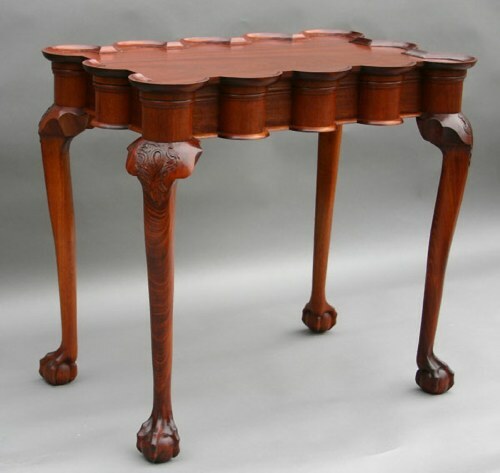 The original table that this piece was based on is one of a group of six tables known to exist with this very distinct turret or scalloped top design. 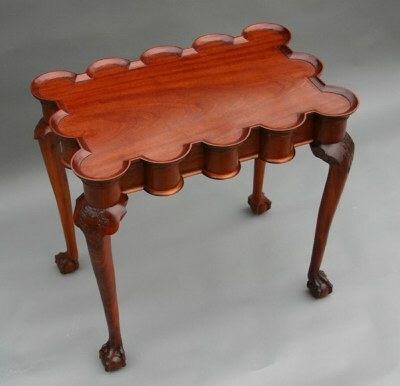 My reproduction is based on the original table on display in the Winterthur Museum. 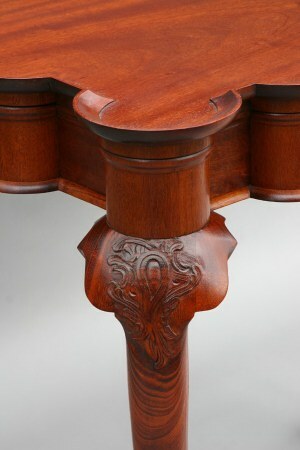 The top is made from a single piece of mahogany which is carved out in the center to create the raised lip around the edge - i.e. the scrolled edge is not applied it is carved from the solid. All the carving of the top on this piece was done by hand - including the initial hollowing. 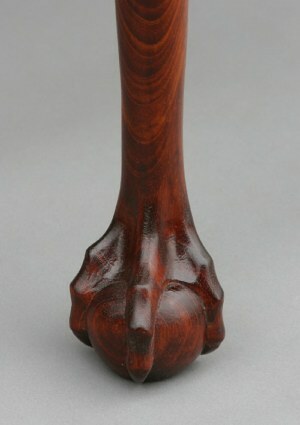 The feet, legs, knees and top are entirely hand carved following pictures taken from the original table. Hand carved foliage on the knees. 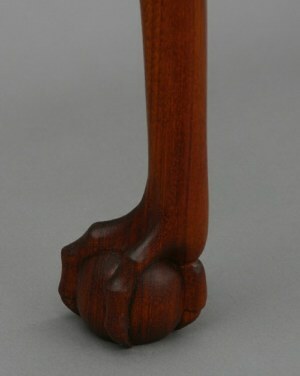 Detail views of hand carved feet - showing the characteristic "Boston style" swept back side talons.